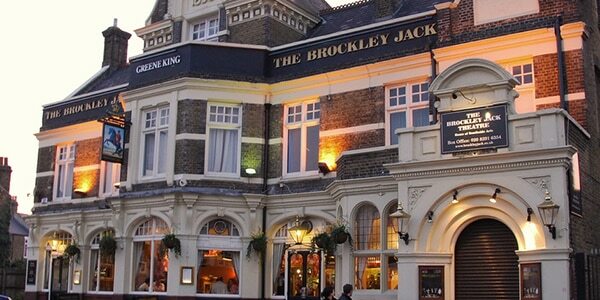 Also known as the Brockley Jack Theatre, the Jack Studio Theatre opened in 1992, founded by Peter Rocca, David Kincaid and Michael Bottle (the latter two playing lead roles in its opening production: Chekov’s On the Harmful Effects of Tobacco and Swansong). The programme of the 50-seat theatre is an eclectic mix of established plays and new writing, performed by visiting companies and by Southside Arts (the theatre’s in-house company). The theatre also runs comedy performances, music performances, scratch nights, writing workshops, film screenings, and an annual new writing festival (Write Now).